Sharjah FDI Office (Invest in Sharjah) – the promotional arm of Sharjah Investment and Development Authority (Shurooq) – has announced that it will participate at the seventh edition of the Annual Investment Meeting (AIM 2017), along with four of Sharjah’s leading government entities and authorities, who will spearhead the integrated investment climate in the emirate from the “Invest in Sharjah” stand. The high-level and integrated participation is expected to provide an array of dynamic business opportunities during the leading three-day exhibition, which is set to take place on April 2-4, 2017, at Dubai World Trade Centre. 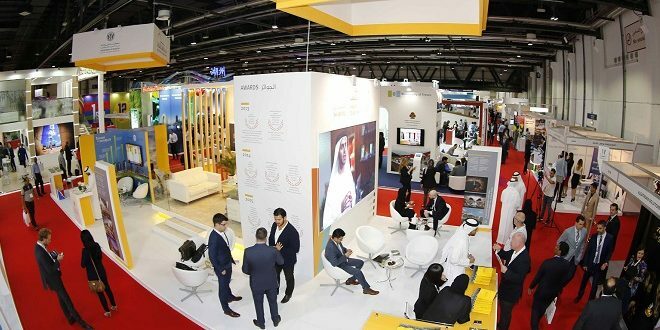 Invest in Sharjah is participating at AIM 2017 with a host of strategic partners who represent the Emirate of Sharjah, including Sharjah Economic Development Department (SEDD), Sharjah Environment Company (Bee’ah) Hamriya Free Zone Authority (HFZA) and the Sharjah Chamber of Commerce and Industry (SCCI) with the collaboration designed to ensure the integration of investment promotional activities of Sharjah’s vital sectors. One of AIM’s key sponsors, Invest in Sharjah aims to use the global forum to highlight Sharjah’s unique opportunities and its business-friendly environment to participating authorities, businesspersons and international investors. It also seeks to showcase Sharjah’s diversified economic system, which offers promising returns across all its sectors. Hosted with the title ‘International Investment… Path to Competitiveness and Development,’ Aim 2017 is being held under the patronage of His Highness Sheikh Mohammed bin Rashid Al Maktoum, Vice President and Prime Minister of the United Arab Emirates and Ruler of Dubai, and organised by the Ministry of Economy. This year’s edition of AIM – one of the world’s premier events focusing on foreign direct investment – will see the participation of an array of government representatives, investors, corporate leaders and policy makers from across the world. Hosting 40 international pavilions and attracting business delegations from 100 countries, the event will explore the current and expected regional investment spheres. A global platform for the exchange of ideas, experiences and investment opportunities, the forum works to forge economic agreements and investment partnerships in the UAE and the wider region. “In the first nine months of 2016, SEDD was able to issue 49,000 trade licenses, both new and renewed. The number of new licenses increased 7.5%, which indicates strong investor confidence in Sharjah’s economy,” Al Suwaidi added. “We signed an agreement with Invest in Sharjah last year under which we added its logo on all trade licenses issued by us. This emphasises the importance of strengthening integration and collaboration with local government bodies to promote the emirate as one of the region’s key investment destinations. 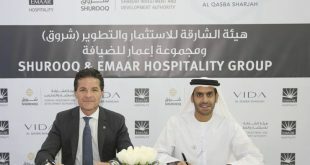 I believe that this agreement will be instrumental in promoting the new brand and in raising awareness about its pivotal role in attracting regional and international investments to Sharjah,” Al Suwaidi noted. Themed ‘International Investment… Path to Competitiveness and Development’, AIM 2017 aspires to shed light on the importance of international investments and FDI for countries’ economies. It also aims to emphasise the imperative of sustainable development through its focus on attracting foreign investments, with the aim of building a better future for younger generations. For his part, Saud Salim Al Mazrouei, Director of Hamriya Free Zone Authority (HFZA) and Sharjah Airport International Free Zone (SAIF ZONE), emphasised the importance of participation at AIM, which forms an influential platform for the bringing together of individuals and corporates from across the globe, including an elite number of academics, experts, CEOs, investors and businesspersons. He pointed out that it provides an invaluable opportunity for attendees to explore different investment options and to help them take decisions on their next investment destination. “Over the past few years, Hamriyah Free Zone has attained a remarkable level of success based on carefully applied strategic plans that have resulted in expansion and growth and contributed to an increase in development rates. This was achieved by meeting investors, listening to them, fulfilling their needs and encouraging them to invest in Sharjah,” he said. “Our participation at this prestigious investment event aims to showcase Sharjah’s institutional efforts. It will highlight the legislation and procedures designed to facilitate business and provide investors with all they need, including data and logistics to ensure a strong startup of their projects. 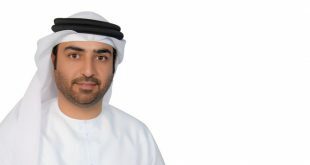 It also aspires to educate them on investment opportunities in sectors that the Emirate of Sharjah considers vital for its economy,” said Mohammed Juma Al Musharrkh, Director of Invest in Sharjah. “Our participation in previous editions of AIM has been extremely successful and led to many agreements and constructive partnerships. 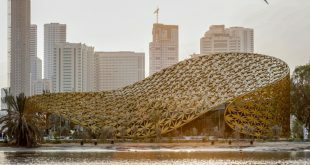 We look forward to attracting even more foreign direct investments to Sharjah across all of its vital sectors this year, especially through participating in such bespoke exhibitions. This year our participation is stronger and bolder, as we partake along with top government entities in Sharjah, all contributing to the emirate’s overall investment and economic growth,” he added. Sharjah Investment and Development Authority (Shurooq), launched the Sharjah FDI Office (Invest in Sharjah) in September 2016. Invest in Sharjah aims to promote Sharjah’s investment opportunities and economic competencies, which meet the highest international standards, as well as ensure delivering premium services to attract global investors from around the world.